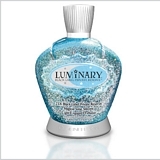 20$ off a Bottle of Luminary & Buy one stand up visit get one free! Check out our facebook for daily specials!!! *ALL NEW LOTIONS ARE HERE!!!! *WE HAVE DESIGNER SKIN LUMINARY!!!!! For contract and group rates please Contact Us. Hosted by Myrtle Beach Web Design Co. MyrtleBeach911.com All Rights Reserved © Tiki Tan Inc.